Business Chicks Premium member AMANDA CASSAR has been working in finance since 1991, but she also knows what it’s like to live week to week. 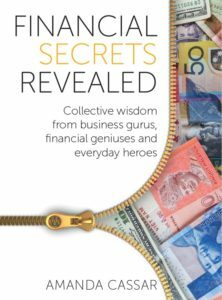 In her new book, Financial Secrets Revealed, she asked business gurus, financial geniuses and everyday heroes for their get-rich secrets. Here, she shares her story and some of her own golden advice. In, 2015, Amanda Cassar travelled to Uganda as part of the Hunger Project. She talks to Jamie Williamson about how the experience shaped her approach finanical advice. 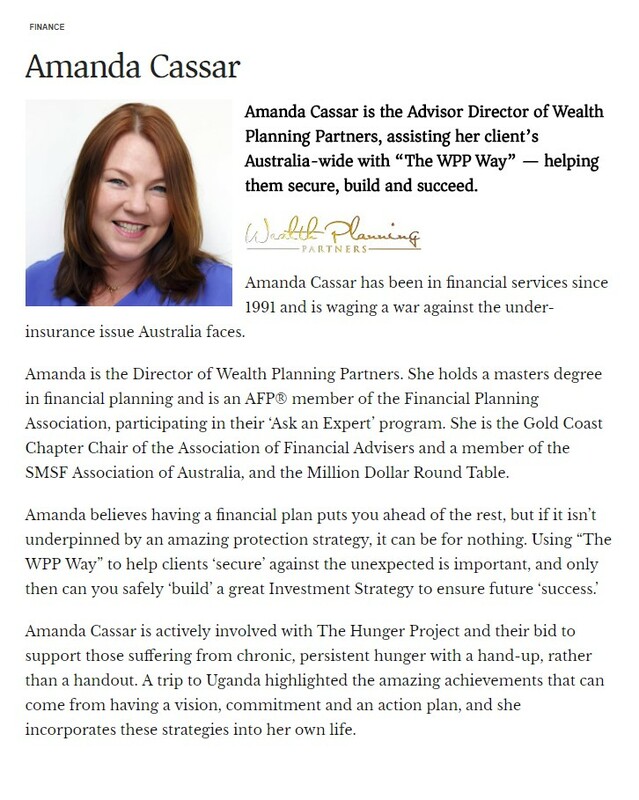 Amanda Cassar is the Advisor Director of Wealth Planning Partners, assisting her client’s Australia-wide with “The WPP Way” — helping them secure, build and succeed. Amanda Cassar has been in financial services since 1991 and is waging a war against the under-insurance issue Australia faces. There is a dizzying array of types of insurance available in Australia, although the average person probably won’t be needing aircraft or defamation insurance. But like death and taxes, the majority of people won’t be able to avoid getting at least some of the basic types of insurance such as motor vehicle, house and contents and health cover. Gold Coast-based advice firm Wealth Planning Partners has launched a subsidiary firm that will focus specifically on Australia’s growing ageing population. Advisers Therese Jarrett and Amanda Cassar will head the subsidiary Trusted Aged Care Services, according to a statement. A Queensland financial advice practice is launching a subsidiary business assisting the elderly transition into aged care. Amanda chats with Michelle Hoskin (aka Little Miss WOWW!) from Standards International in the United Kingdom for the WOWW! Hour. 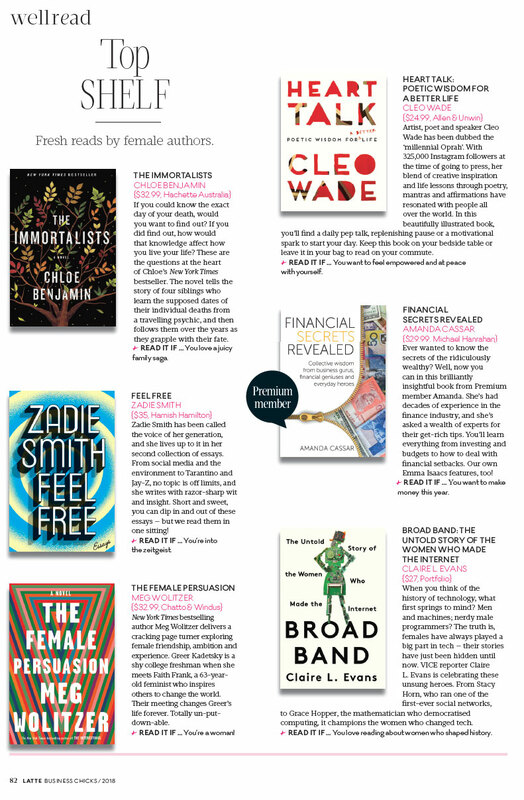 READ IT IF … You want to make money this year.